I agree regarding Planet Red Hulk. The ending totally renders teh story meaningless and reduces it to filler. I could see using thsi story as a bridge between two major story arcs, but to place it right between a large arc makes no sense. I'm expecting Betty's wish to be a Scarlet Witch-like "No more monsters" or to make everyone a monster, so that she and the Hulk aren't so unusual in society. Not that the story demonstrates any of that so far, but her wish likely revolves around her comment that the Hulk will always come between her and Bruce. Perhaps if she wishes for a cure for her and Bruce, that would be a suitable way for the series to end later this year (as we know it will)? Incredible Hulks #631: Heart of the Monster Part 2, was awesome! We get excellent art by Paul Pelletier and an awesome storyline from Greg Pak! It's great to see Hulk do some incredible feats and smash some powerful villains for a change! This is the Hulk that we haven't seen since Incredible Hulk #611... and I'm glad that the Green Scar has returned! 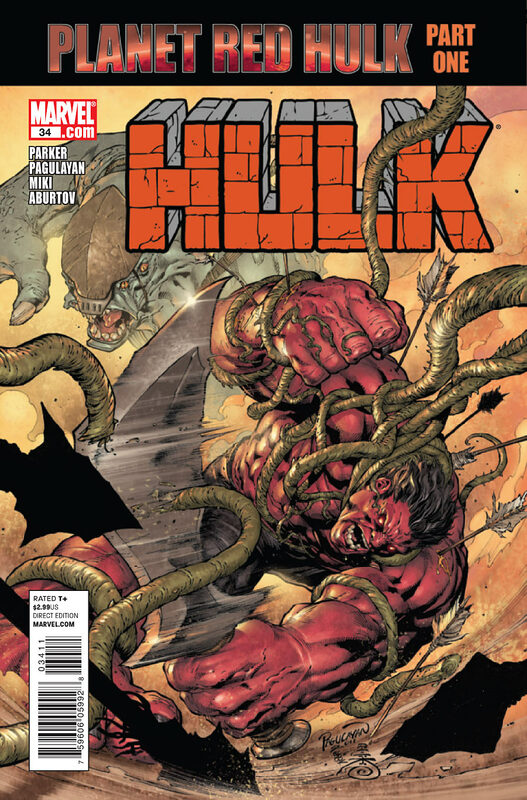 It was great to see Hulk battle Wendigo and Bi-Beast, which turned out to be both epic in scale and action packed! Pak is really going all-out with his final story, which is great because this storyline makes Dark Son, Chaos War/God Smash, Planet Savage, and the Spy Who Smashed Me story arcs look lame by comparison! 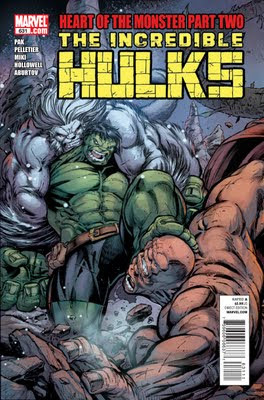 It is simply Hulk at his best and showing why he is indeed the Strongest One There Is!!! And the last page involving Lord Armageddon... WOW! It's certainly going to get very interesting from here on out, that much is certain! I'm really looking forward to a confrontation between Hulk and Lord Armageddon! Just read Hulk #35, and I agree with you. 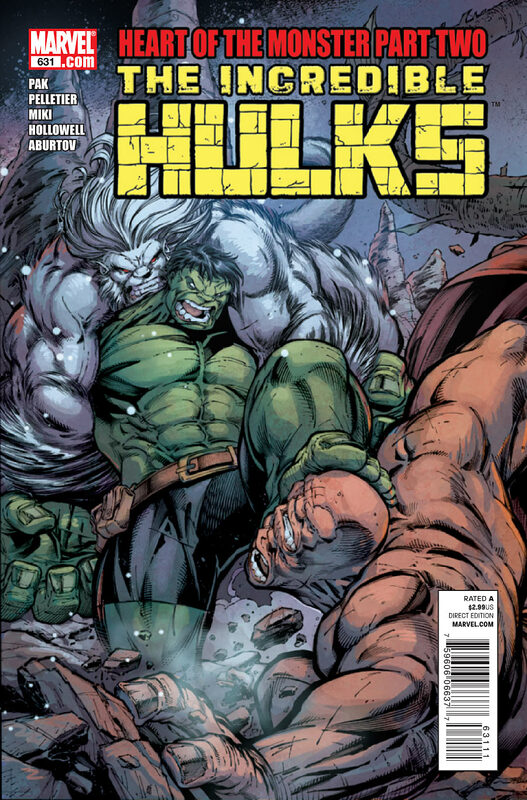 I am a huge fan of Jeff Parker (Fall of the Hulks: Alpha was GREAT! ); I would say I like him better than I like Greg Pak, but it's true that this particular Planet Red Hulk story doesn't have any compelling reason to exist. Boy, Marvel is really milking the ramifications of Planet Hulk for all it's worth, and then some! Great reviews as always, Gary! 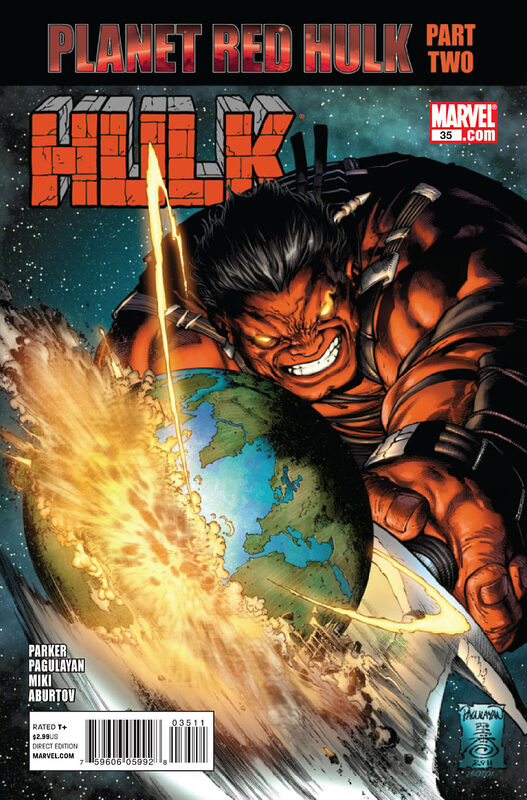 I'm kind of glad PLANET (RED) HULK was just a filler, and not a totally blatant rip-off of the original. Jeff Parker has proved several times over that he's definitely capable of better work. On the flip side, HEART OF THE MONSTER is shaping up to be one hell of a decent finale for Greg Pak. I'm enjoying seeing all of these old Hulk foes return... especially Armageddon, an old favorite of mine from Peter David's run. It's been too, too long. I really ought to bring up some things some fans and I have discussed on Twitter. Last night we had a lively back-and-forth about the modern Banner/Hulk relationship. It sounds like your dislike of Red Hulk is almost as powerful as mine. The way you describe this story, I couldn't believe you didn't give it a "Burn It" rating. I suppose you reserve that for the most extreme of bad comics. The Hulk getting angry is what I read this comic to see. So I am really eager to read "Heart of the Monster" when it comes out in trade. Even more than that, however, I am excited to find out what the next incarnation of the Hulk will be since the monster part of Hulk is being hinted as tired of "playing nice" with Banner. After Pak leaves, what kind of Hulk are we going to get? Hopefully, one whose personality is less ambiguous to this reader.